Part of the allure of Florida, aside from meme addicts crashing newscasts and your average "Florida Man" wreaking havoc, has got to be the ample sunshine. Florida lawmakers who realize this are on the cusp of making Daylight Saving Time a permanent, year-round fixture in the state, meaning residents won't have to worry about turning their clocks forward and backward throughout the year. The Sunshine Protection Act cleared the state Senate in under a minute on Thursday, CNN reports, nearly a month after it gained approval in the House. 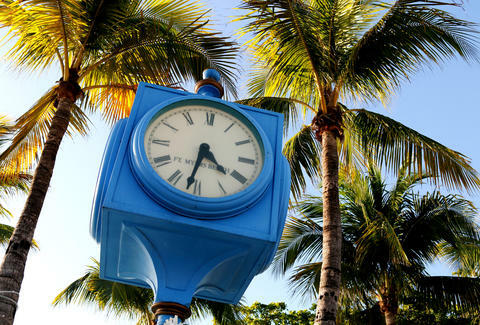 If the bill winds up carrying the signature of Governor Rick Scott, Florida will be one step closer to joining Hawaii and parts of Arizona as the only states to eschew Daylight Saving Time in favor of leaving clocks alone. Daylight Saving Time became a thing largely to protect consumer's energy bills. In the wake of World War I, the United States adopted the policy in 1918 to stave off the excess costs of a wartime economy, Quartz' Allison Schraeger wrote in 2016. When it comes to present day, however, DST does little to spare you from the burden of a heavy electricity bill. A 2008 study from the Department of Energy found that turning the clocks back and forward every year reduces energy use by a paltry 0.03% annually. A Department of Transportation study conducted all the way back in 1970 also found the clock switch to bear negligible results. Florida's decision to live without DST is a decision that will ultimately come down to Congress, which archaically has to decide if a state can opt out of the Uniform Time Act of 1966. Time is very bureaucratic, people! Regardless of the outcome, it seems like snaps are in order for Florida's legislators, who managed to find rare common ground over clocks. State residents are still going to have to turn their clocks forward on March 11, though, unless this crucial matter is addressed by Washington beforehand.